Would you like to help foster a local network of pro-life wellness specialists who serve growing families but you aren't sure how? Do you already know a lot of life-affirming professionals working with families who want to get better connected, share ideas through continuing education workshops, or even offer classes to the general public? Or do you hope to connect with other like-minded professionals and work together to help renew the Culture of Life? 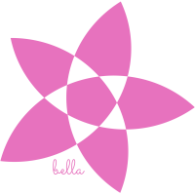 We make it easy by having one central location for people to connect--BELLA! Read the BELLA Core Principles. Wholeheartedly agree? Keep reading. Print out, read, and assuming you agree, sign our BELLA Philosophies Statement or click here to view and print. Scan and email your signed copy to BELLA, demonstrating your agreement with the BELLA Philosophy Statement. Fill out and submit the BELLA Team Founder Application Form. Once your application has been approved, you will receive information to join our BELLA Team USA Networking Group. We hope you will join the group to get tips from and share your successes with other Team Founders and Team Contacts on how to nurture your chapter. At this time, we require Team Leaders to have a Facebook account. If you are on Facebook, find new Affiliates and Members faster by requesting to join The BELLA Professionals Network Facebook group and starting your own local BELLA Team Facebook group. You can also find potential local Teammates by searching the web, asking other life-affirming professionals for referrals, and looking for literature in places like houses of worship and physicians' offices. Once you have a core group of BELLA Teammates, begin to meet together as a BELLA "supportive group" to get to know one another, share ideas, debrief from difficult situations, share referrals, serve clients together and form plans for how to impact your area with the beauty of life. Use a link to your BELLA Team's page on your publicity! As you are able, plan workshops for your group and/or other professionals to share ideas for helping new families. Please be aware that all BELLA workshop or class presenters must also agree with and sign either the BELLA Philosophies Statement or the BELLA Presenters Agreement prior to teaching a workshop or class in partnership with the local BELLA Team, whether it is for Members and Teammates only, or for the general public. Encourage life-affirming members of your community and area to become a Member of your local BELLA Team. Funds raised from memberships can be used to provide an honorarium for your speakers, to advertise your local Team in order to help raise awareness of the wealth of resources and knowledge your group offers, or can be used for charitable purposes in the name of your local BELLA Team, as long as all Members agree. Sponsor fun events for the general public such as a BELLA Belly Art-athon or a BELLA Babies Photo Contest! 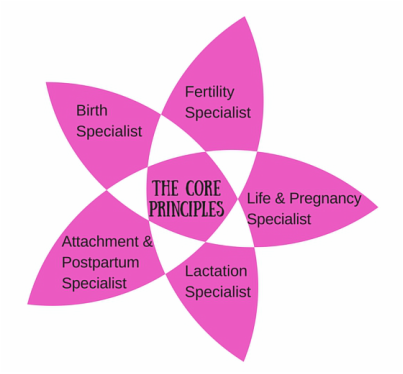 To help spread the beauty of life, plan classes for the general public that will help families to better understand, and hopefully embrace, the BELLA Core Principles. Please be aware that Presenters at BELLA-sponsored workshops, classes or other presentations must agree with and sign either the BELLA Philosophies Statement or the BELLA Presenter Agreement prior to teaching a a workshop or class in partnership with the local BELLA Team, whether it is for Members and Teammates only, or for the general public. Consider becoming a BELLA Team Mentor, to help new BELLA Team Founders make their teams fruitful and fun! To become a BELLA Team Mentor, you need to be a BELLA Team Contact, be enthusiastic about the BELLA vision of cultivating BELLA Teams to usher in a New Renaissance of the Culture of Life, and have a passion to help new Team Founders get started. Simply Contact Us to become a Team Mentor.